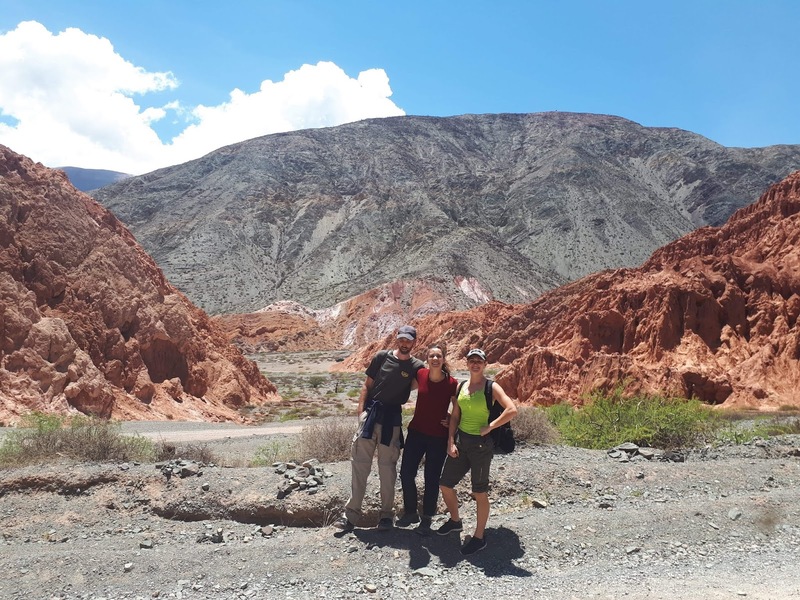 After an exhausting sprint to barely catch our overnight bus to Jujuy from Buenos Aires, we had a relatively easy 23 hour ride to Jujuy. It left in the morning and by sunset we were still driving through a flat farming landscape but woke the following morning to dry mountains. 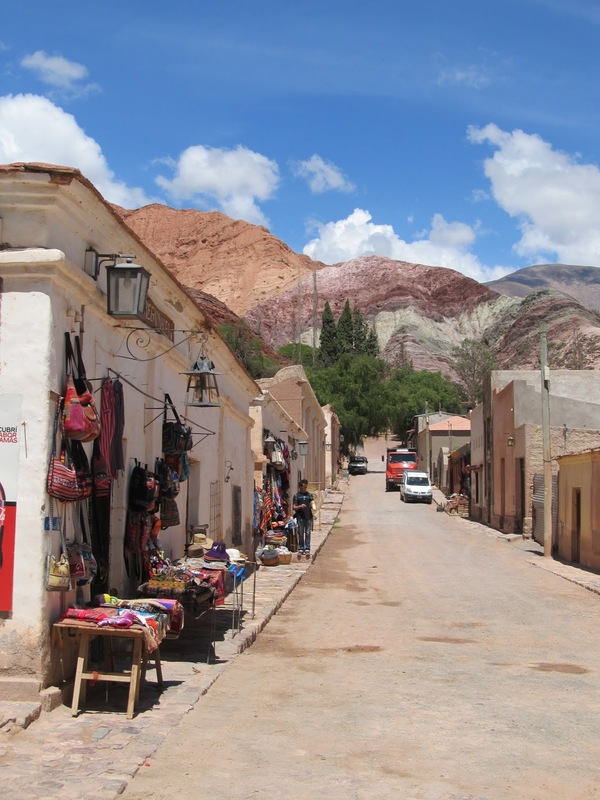 With a quick change in Jujuy, a couple hours further along we finally settled down in the little tourist hub of Tilcara. 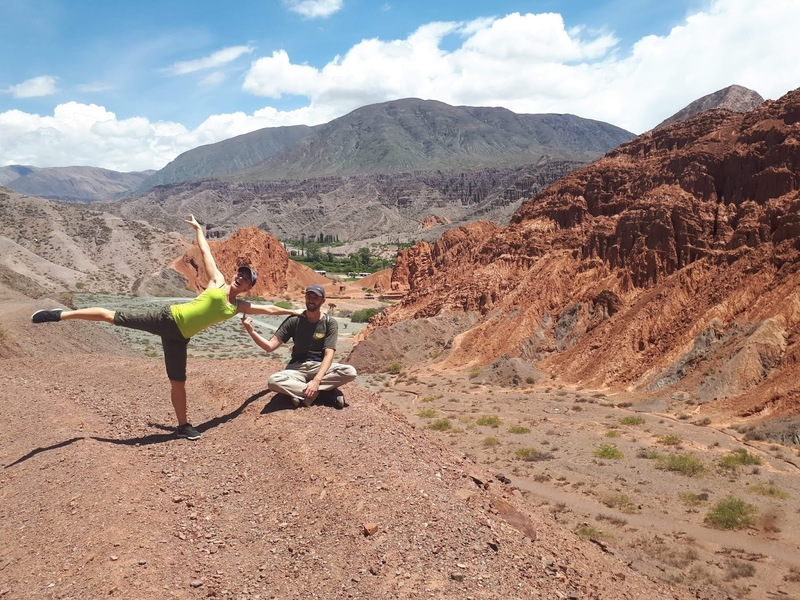 Northern Argentina is a world away from Buenos Aires and really doesn’t feel like the same country at all. 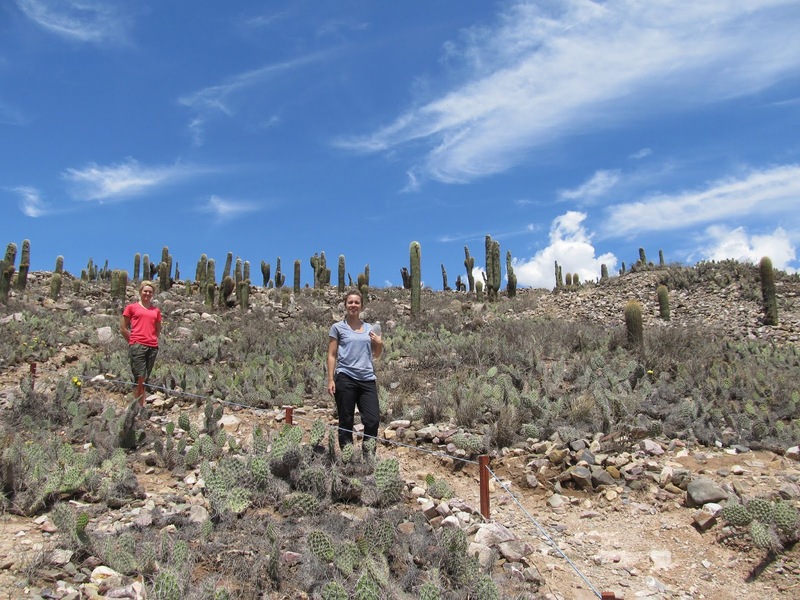 Cactus covered mountains and dry riverbeds replaced fertile farmland and gone were the tall, predominantly white-skinned latinos, replaced by Andeans that could make the average Filipino look tall. Despite being up at nearly 8000 feet it was hot, skin sizzling hot in the sun and we tanned there faster than on the beaches of Brazil. 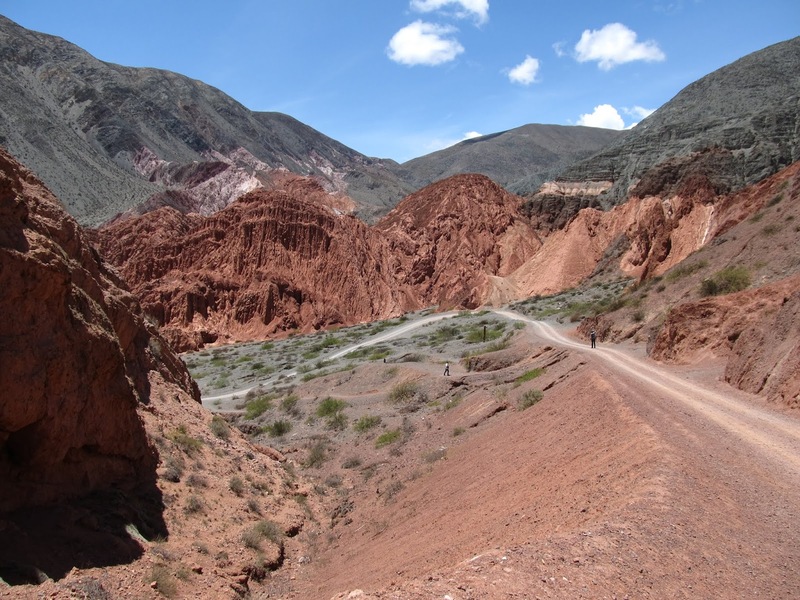 The road north of Jujuy city heading to the Bolivia border follows the Quebrada de Humahuaca, a narrow valley with at least 10,000 years of human history, including more recently as a major travel route for the Inca and was the site of several battles in local independence wars from Spain. 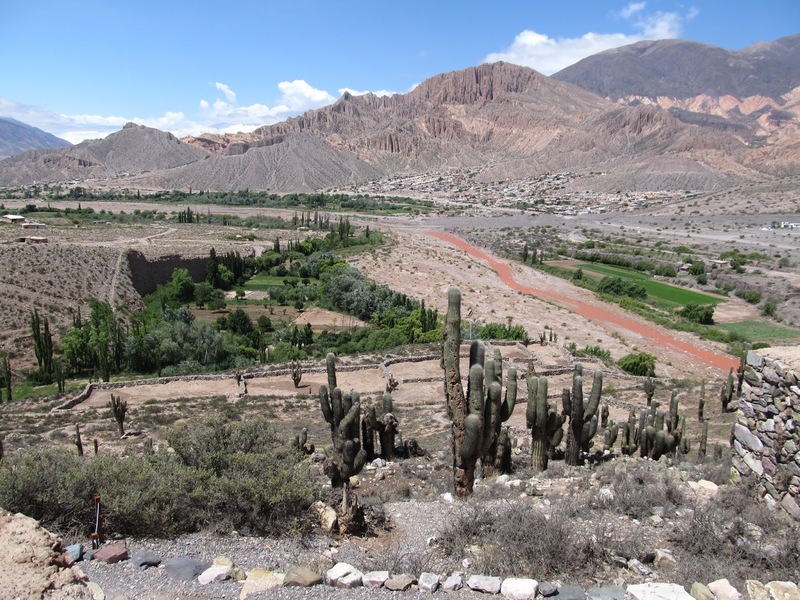 Today it is a pretty valley, poor and underdeveloped but a popular stop for those traveling between Argentina and Bolivia. 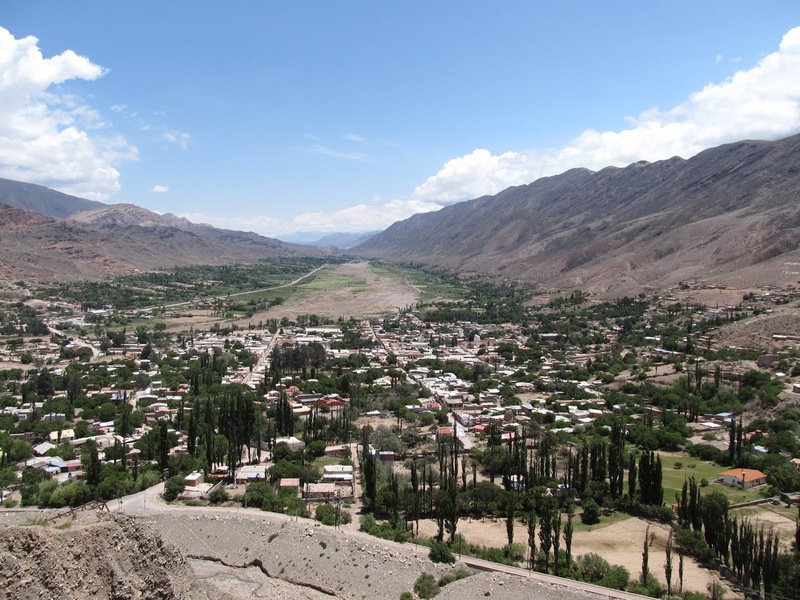 There are multiple villages to choose from to base yourself along the valley and day trips to the others are easy enough with lots of bus traffic to and fro. Hiking is popular and there are a few little pre-hispanic ruins to see but the most famous feature of the valley is its beautiful scenery. Just driving along the highway is enough to be awed by the colour and for the most part we contented ourselves with such. 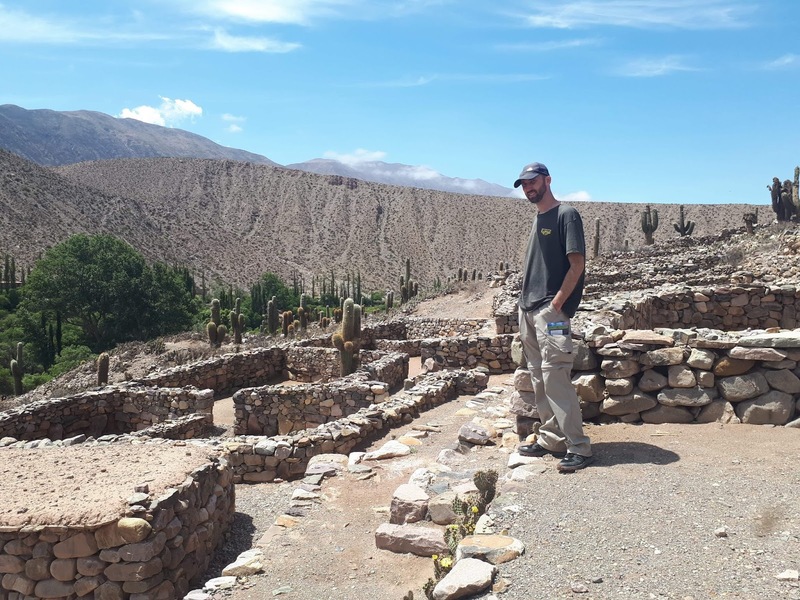 We stayed in Tilcara for 5 nights, the longest we’ve stayed anywhere this trip, more because we couldn’t get out because of Christmas bus schedules than for a need to be there that long. We enjoyed it though and weren’t overly ambitious. Tilcara itself is a tiny town of only a few thousand people and very dusty streets. Every other store is either a simple hostel or a restaurant catering to the tourists that seem to make up half the population on any given day. And yet somehow the people seem pretty relaxed, friendly and easy going so it made a very pleasant base and wasn’t hassley at all. We were feeling the effects of altitude (me the most) so didn’t want to push things too much. 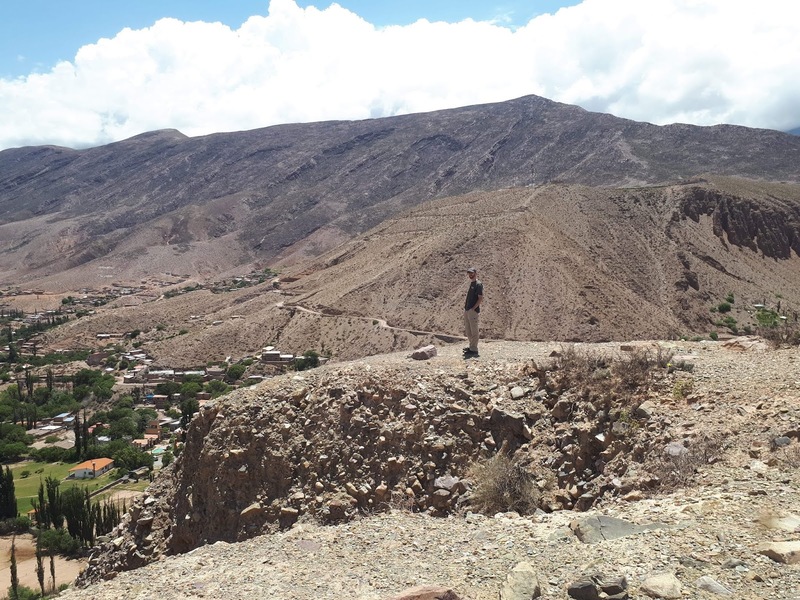 We hiked to the top of a nearby hill for some views and visited the nearby ruins on another day. The ruins were pre-Incan but reached their maximum under the control of the Incas and were essentially abandoned or destroyed by the Spanish. The partial reconstruction gives you an idea of the old layout, but for the most part the hill is mostly rubble dotted with cacti and the circular holes in which people were buried. 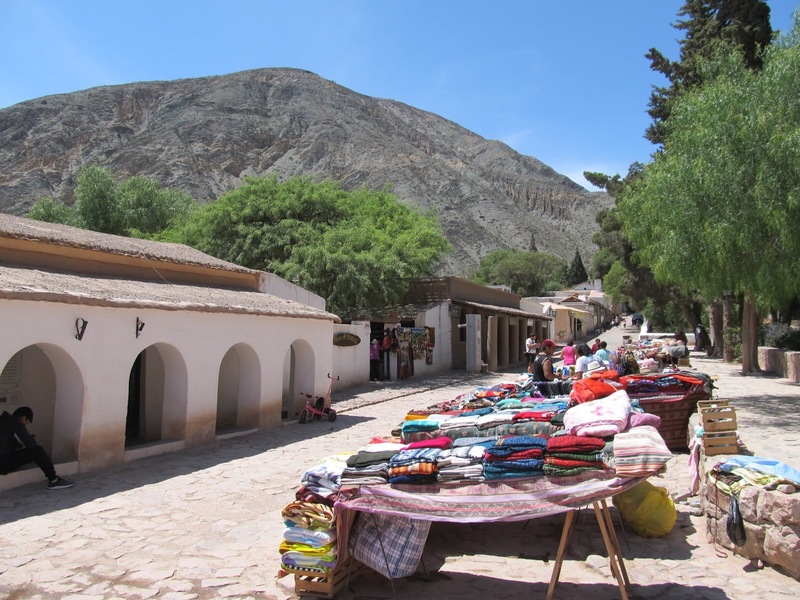 We also visited the even smaller village of Purmamarca, best known for its 7-coloured hill. 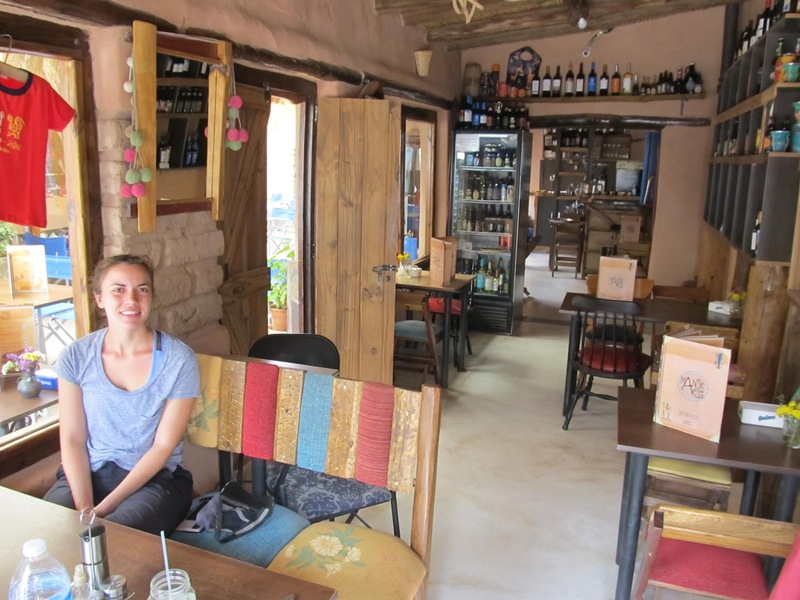 It is also very popular with tourists and we found it to be more expensive and touristic than Tilcara. It is supposed to be quainter and is often considered the favoured place to stay but we were glad to be based in Tilcara instead. We ended up doing a nice little loop hike around town before heading home. Purmamarca. Note the colours behind town. It was Christmas time but we didn’t feel much of the “Christmas spirit” that is now confused with the commercialization of the holiday. Yes there was the decorated Christmas tree in the main plazas but generally very little other hype or build up. It was also Sasha’s first non-winter one and for the most part we kept forgetting what month we were in. 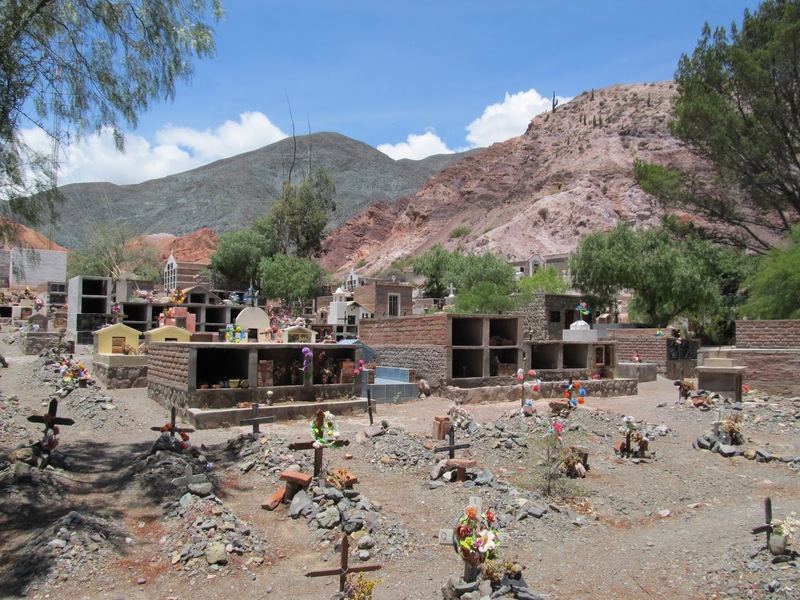 Then we got to Jujuy and learned we wouldn’t be able to get anywhere by bus until after Christmas. 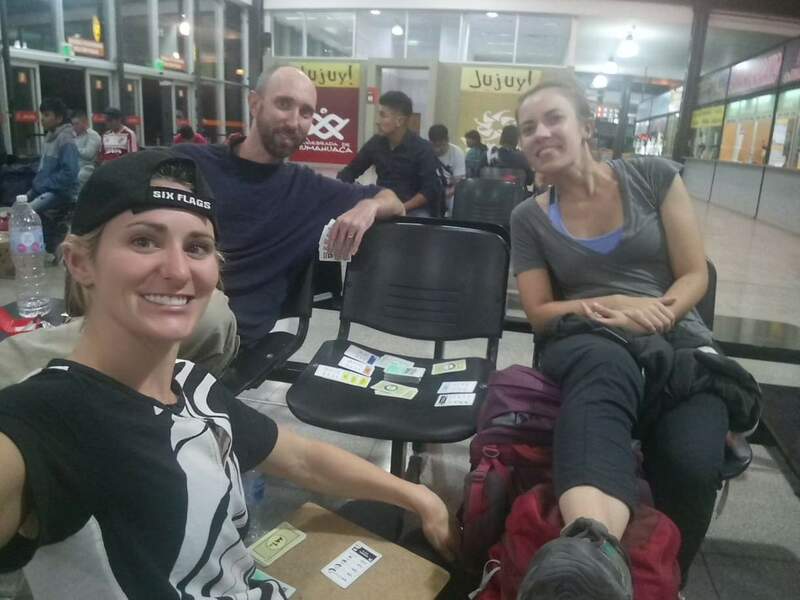 We spent the big day checking out of our hostel, killing time there then killing more time with a long lunch, transiting back to Jujuy and waiting there until a 2:45am bus came along to take us to Chile.